The Carter Center's Trachoma Control Program is seeking a qualified graduate student for the 2019-2020 session to assist the program in several projects over the course of the term. The projects will range in diversity and duration. The graduate assistant will take direction from the program epidemiologist, the associate directors and the director. The graduate assistant will be tasked with work related to a study entitled "Trachoma Elimination Study by Focused Antibiotic" and referred to as "TESFA." 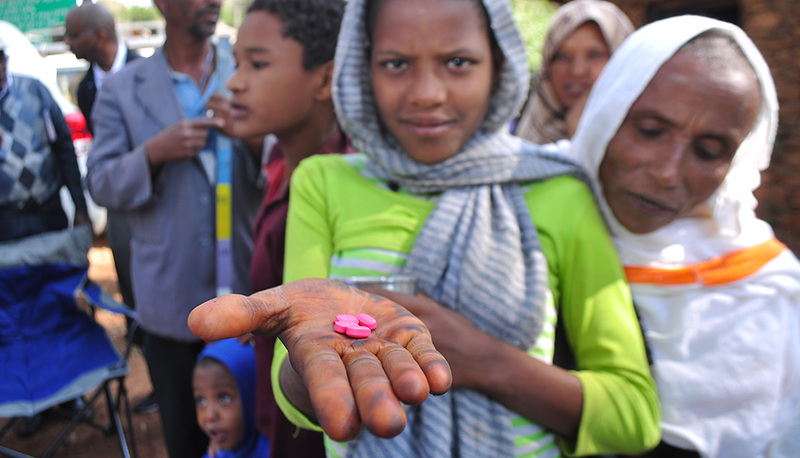 This study is a cluster-randomized clinical trial to test an alternative treatment regimen to the standard-of-care single-dose, annual community-wide mass drug administration (MDA) of azithromycin for trachoma. The graduate assistant will assist in developing training manuals and materials for the use of survey software for a randomized trial, assist in developing a quality control plan for data collection included data collected as part of a survey and as part of specimen collection, assist with existing software to develop reports and presentations that can be used for scientific and other meetings, and assist with other projects as assigned. The graduate assistant will work closely with staff in the Carter Center's Atlanta office as well as have some interaction with field staff in Ethiopia, where the study will be conducted. The graduate assistant will become proficient in study software including Salesforce and Stata and attend and participate in a data safety and monitoring committee meeting or other scientific meeting around the planned randomize trial. Application opens Feb. 1-April 1, 2019.